Our message is crystal clear: Texas Pool & Spa can change your pool experience from hum-drum maintenance to full-time fun! If you live in Plano, Allen, McKinney, Murphy or southwest Collin County, Texas Pool & Spa can keep you in the swim of things with high-quality pool cleaning and maintenance services. Backed by training and experience, our certified and insured technicians are committed to providing pool care and customer service with extra attention to detail. 100% satisfaction is guaranteed. At Texas Pool & Spa, we offer competitive, straightforward pricing with no surprise charges. We complete each job by following a strict 21 point checklist. We then electronically record your service call information and provide you an email report following each visit. 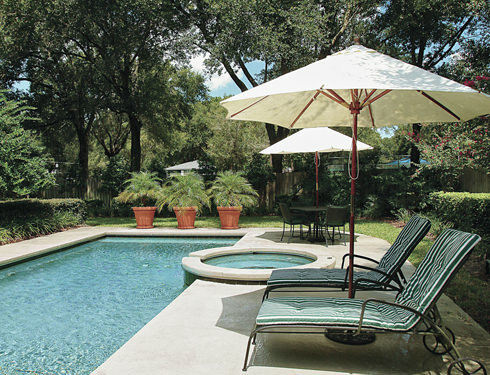 So, ditch the pool net and take the plunge with a call to Texas Pool & Spa! Backed by training and experience, the certified and insured technicians at Texas Pool & Spa are committed to providing pool care and customer service with extra attention to detail. We have been with Texas Pool and Spa, LLC since we purchased my home over six months ago. As first time pool owners, they not only clean and care for our pool, but also took the time to provide us much needed training in how to use our pool features. Thanks, Texas Pool and Spa, LLC! - Judy F.
TP&S does a great job servicing and cleaning my pool every other week. They are very professional and Seth does an amazing job. Bravo! Week in and week out they do a great job. I also get an email with the work done after each cleaning with the pH and other information. Highly suggest TP&S to my friends. - Mark H.
At Texas Pool & Spa, we find it very rewarding to know that through our services you can enjoy a pool that it is clean and clear of debris. 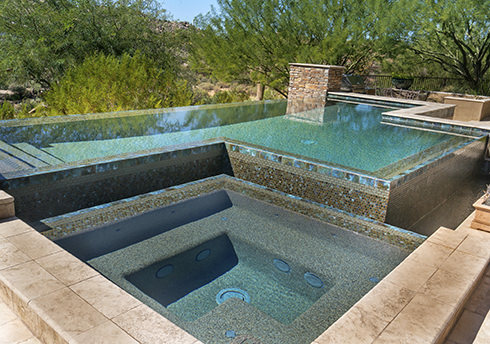 A pool that is in working order, with perfectly balanced water every time you use it. CERTIFIED AND INSURED. Texas Pool & Spa is a member of the National Swimming Pool Foundation, a professional trade organization. By following their rigorous standards, we have earned the designation of Certified Pool Operator, to further assure you of our professional competence. Also for your confidence and protection, we maintain $1 million in general liability insurance. STAIN REMOVAL SPECIALIST. Our technicians have been trained and certified, earning the title of Certified Stain Specialist. This program developed by an industry-leading manufacturer helps ensure the proper identification, prevention and removal of pool stains and discoloration. Timely intervention can eliminate the need and expense of pool draining and acid washing. INDUSTRY AFFILIATIONS. Texas Pool & Spa’s industrial and professional affiliations, locally and nationally, back us with a reserve of experience, training and resources. This is your assurance that no job is too large or complicated to get the proper service and maintenance. We are dedicated to saving you time, money and unnecessary repairs in the future. FAMILY BUSINESS. Finally, Texas Pool & Spa is a family business with a goal of maintaining a high level of excellence that will earn your trust so you, in turn, will continue to reward us with your loyalty. Texas Pool & Spa is a family business with a goal of to maintain a high level of excellence that will earn your trust so you, in turn, will continue to reward us with your loyalty. Backwashing of Filter as needed. Green Pool – We will have you blue and swimming in a couple of days! Consultation – Buying or selling a home? We can help with inspection or repairs. Vacation Services – Let us take care of your pool while your away! Filter Cleaning – If you prefer to take care of the weekly cleaning, but hate the filter cleanings, we can help! At Texas Pool & Spa we complete each job by following a strict 21 point checklist, then electronically record your service call information and provide you an email report following each visit.